Anish Prabhakar, Sachin Singh Yadav, Sudhir Kumar Gupta, Forhad Akhtar Zaman, Dechenla Tshering Bhutia. Background: Road traffic injuries (RTIs) are a large and rapidly evolving public health burden. RTIs are projected to rise to the third leading cause of disability-adjusted life years lost worldwide by 2020. In India, rapid motorization and increasing road traffic burden and underreporting of RTI are serious problems. Objectives: The objective of this study was to determine the burden and type of injuries sustained by victims of RTIs in East Sikkim and its correlates. 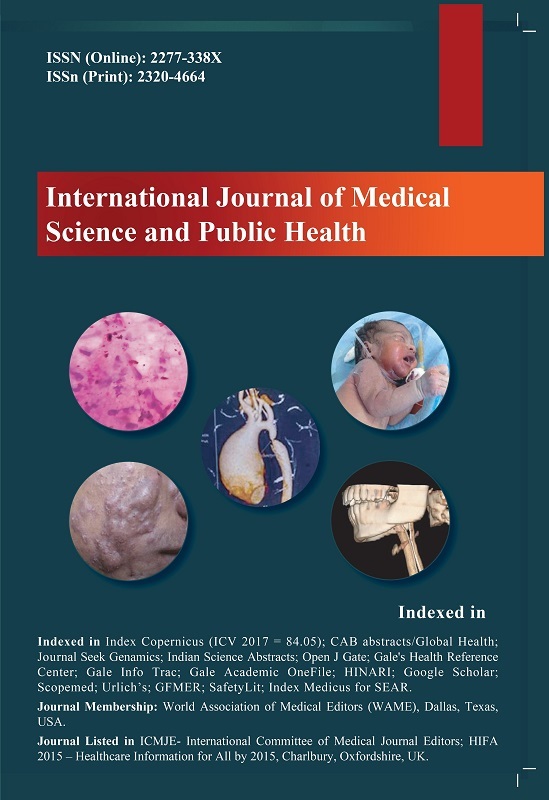 Materials and Methods: Cases with an alleged history of RTIs reporting either to Central Referral Hospital or Sir Thutop Namgyal Memorial during June 1, 2012–May 31, 2013. After taking consent from victim or caregiver, a predesigned semi-structured pretested schedule was used to collect information. Results: A total of 467 cases of RTI were reported, in which the majority were males of productive age group. Most RTIs occurred on the highway, pedestrians were affected most, and maximum RTIs occurred in mid-week with a peak incidence in October month. Use of alcohol and mobile was reported. Conclusion: RTIs are on increase due to rapid motorization. Sikkim being a hilly state, RTI incidence is high, although minor injuries were more common. Morbidity in RTI victims can be reduced by use of safety measures, strengthening of Information, Education, and Communication activities for prevention of RTI, and imparting the importance of first aid on time.